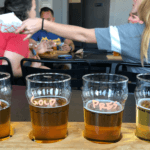 Are you hosting or looking for a fun event for a Memphis bachelor party? 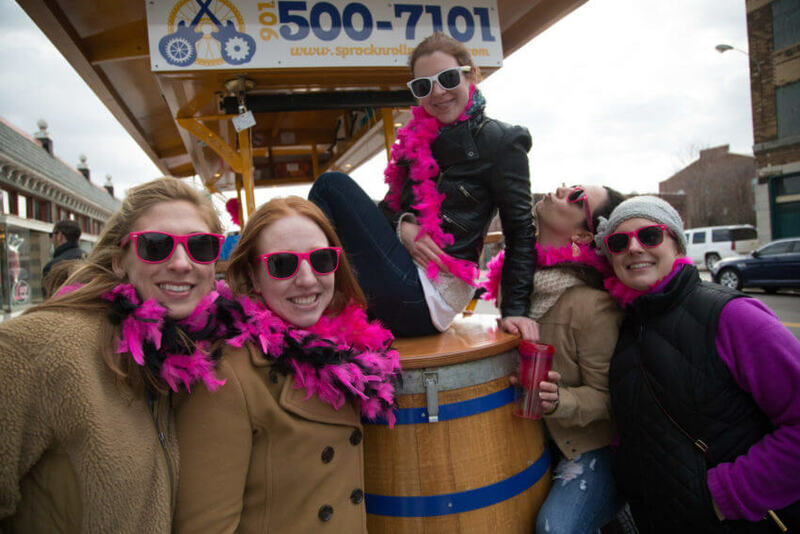 Look no further than the best and most exciting bar crawl on the Memphis streets. 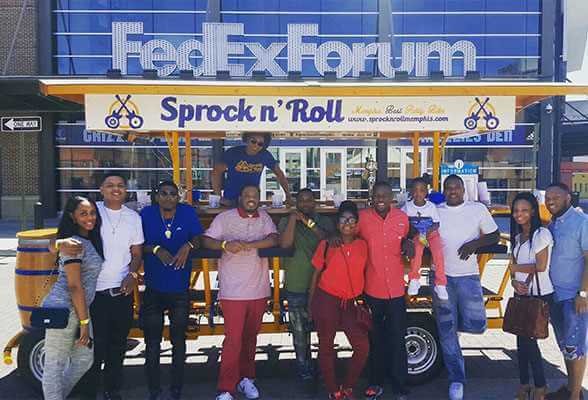 Memphis Bachelor parties are becoming one of our most booked events because there is no better way to have your wedding party and friends all together in one spot! 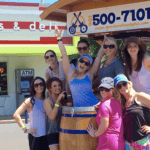 BYOB for two hours of pedaling and partying. 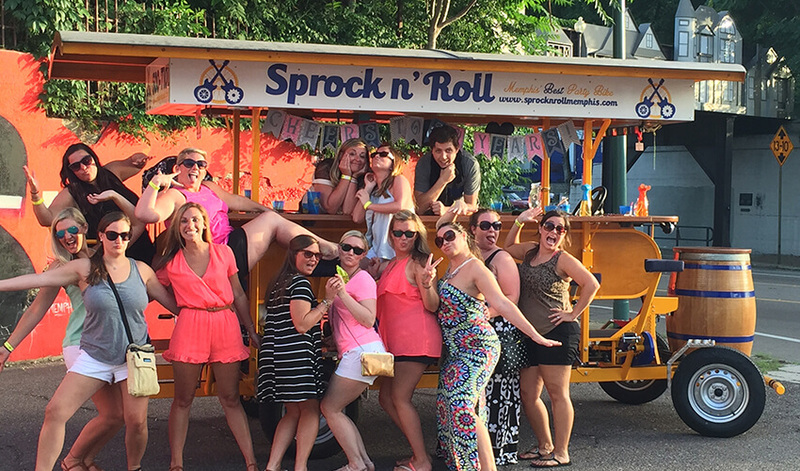 Our party bike tours stop at 2 – 3 different bars for a shot or cocktail and a chance to raise your glass to the groom. Who knows, you may never see him on the bar scene again after those wedding bells have rung. Street appropriate decorations are not only welcome but encouraged! get ready to give your lucky mate the best Memphis bachelor party to celebrate his last moments of the single life! Don’t drink too much before! We all know it’s going to be a crazy night but let’s pace ourselves, right? 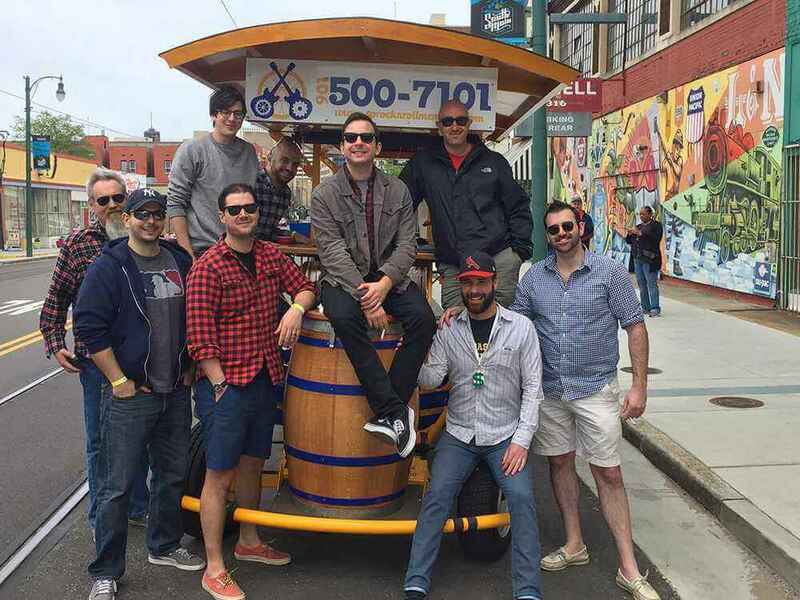 We have a lot to tackle during a Memphis bachelor party – and it’s a marathon, not a sprint. May we suggest Beale street for the best female social scene? See what kind of game you and your friends have flirting with some great girls also out for a night of fun! Be ready to shell out for an Uber at the end of the night – nobody is going to want to be the DD during a Memphis bachelor party. Get home safe and sound after a great night!